Electric flour mill is only for those who are serious about bread. 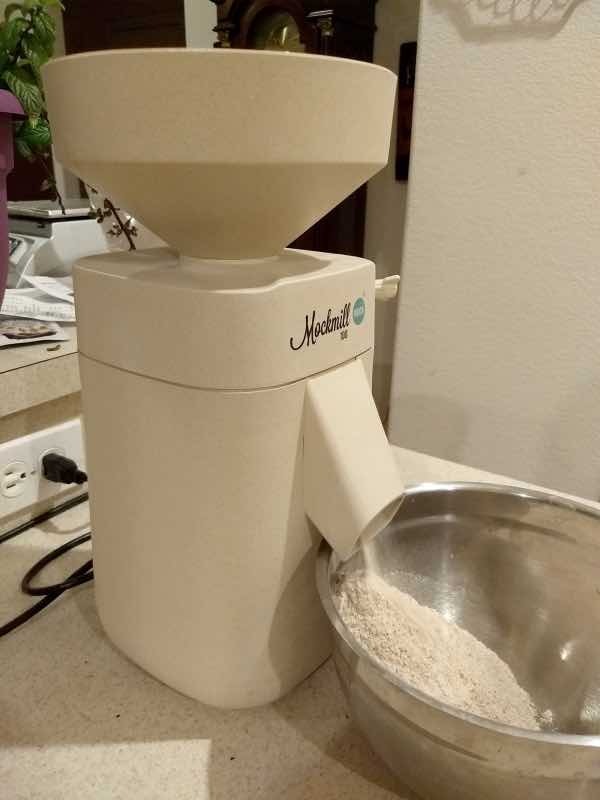 Electric flour mill is only for those who are serious about bread matters; if you plan to spend time and energy baking daily then why would you use second grade ingredients? 100% wholemeal is difficult to buy in most countries, and I've never seen it in my native South Africa. Millers are internationally allowed to call their product wholewheat flour provided no more than 40% of the grain has been removed; much of the bran and the germ. It's a colossal deception and the health of nations pays the huge price tag. This page was last updated by Dr Barrie Lewis on 18th January, 2019. If you want 100 percent wholemeal for your bread, then seriously consider purchasing an electric flour mill. I once owned a hand-powered mill and don't recommend them; they simply do not get the grain fine enough; don't waste your money. The bran is where the lignans are found; they are phytochemicals that have oestrogen-like properties that compete at sites in the breast for absorption; it's no coincidence that the Western world has an epidemic of problems; our women are woefully short of this vitally important substance. The wheat germ is where the important fatty acids, vitamins and minerals are found. The millers remove most of them, and sell them back to you separately packed, at great expense, as supplements. 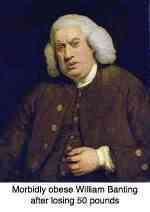 In one sense we can blame the millers and bakers for selling us bread that is such a poor shadow of the real thing; but then it's what the public demands; they are only providing what our tongues have become accustomed to and want; a soft and refined slice that just slides down the throat requiring little chewing. But that commercial loaf is not only denatured of vitally important foodstuffs but it's also tasteless, demanding a sweet or savoury topping; that's why we have to put processed hams and polonies on it, to our terrible detriment, if you value your prostate. Once you've tasted the real McCoy, and especially our sourdough bread, you'll realise the bakers have conned us; that made with freshly ground flour can usually be enjoyed with just butter; it's so delicious that it has no need of jam or meat. Another important difference is that supermarket loaf has a very high glycemic index; in short, it's very fattening, as are all cookies and cakes made with refined flour. But the 100% wholemeal bread that you can bake at home, using grain from your electric flour mill is quite different; high in fibre, protein and the natural fatty acids in whole grain, it has a much lower GI. This is not small beer; read what researchers publishing in the Journal of the American Medical Association have to say about heart stroke diabetes. What's more, you have total control over the ingredients that go into your daily bread; you'd be astonished at the amount of sugar, salt, contrary enzymes, and preservatives that go into the junk food you buy at the supermarket. At a genuine small baker, like this one I discovered in Ludlow in England, you have a chance of getting real 100% wholemeal bread; it's a rarity. They use the best healthy flour. Don't expect to find bread like this at your supermarket. Don't balk at the price; if this is your daily loaf you won't need to be purchasing half the supplements in your pill box; it's a veritable medicine chest. The electric flour mill is very cost effective if you use it regularly; it takes only six minutes to mill the grain and prepare the dough for your bread machine. Otherwise, it'll just be another white elephant in your kitchen. Most of us are put off by thoughts of all the time and effort that goes into kneading the dough, beating it down and generally taking up the whole morning; and the electricity to heat the oven. That's the way it used to be until the advent of the bread machine; today it takes me only six minutes every morning, plus another five hours of course to rise and bake. The cost of electricity is minimal in such a small oven; about six cents per loaf. You may be wondering why all this passion about the electric flour mill on a chiropractic site? It's simple really. 100% whole meal contains much of the calcium your bones need, the vitamins for every process going on in your body and the lignans to dramatically reduce illness. Chiropractic help was born out of the naturopathic world more than a century ago; in fact our roots go right back to Hippocrates and Galen who did manipulation of the spine, before Christ. We are committed to improving the whole body, and not just your spine. Your electric flour mill, along with the bread machine, is the key to vastly improved well-being, for very little bother. Six minutes a day is all it takes me. What's more, despite the considerable expense of these items, it really is cost effective if you use them several times a week. Baking your own bread, using the so called wholemeal flour from the supermarket actually doesn't make sense once you work out the dollars and cents of the grain, yeast and electricity; and you will still need to take those supplements. Even that is problematic as we'll see shortly. But, find a source of whole wheat berries, purchase an electric flour mill, and you're in business; cheap, with all the nutrients the way the good Lord intended, and fantastic taste. So good that I usually enjoy it without any honey, jam, peanut butter or cheese on it. There's one last factor to be considered; the enjoyment of bread has dropped throughout the Western world because the loaf you buy in the supermarket is so fattening; like refined starch it has a very high glycemic index. But your own homemade loaf, baked with flour from your electric mill is to be enjoyed daily; within reason. I eat it daily and haven't put on an ounce. It's the refined carbs that make us fat. Start looking today at the different makes of the electric flour mill. I alluded above to the fact that there are problems associated with taking calcium and vitamin E supplements; serious health issues. This may seem unbelievable to you, but researchers have found that the elderly folk religiously taking their calcium supplement to prevent the dreadful osteoporosis actually have a significantly higher incidence of coronary artery disease; that mineral doesn't just end up in the bones. Taken in pill form it's also deposited in the coronary vessels raising our blood pressure; but not from your food. You can find a link to the subject below; that's why it affects chiropractors, and the reason they are starting to take an interest in such diverse subjects as an electric flour mill. Brittle bone disease is a subject we face many times daily at the coalface; get granny off those calcium supplements and onto bread made with 100% wholemeal. Consider getting her to start partaking of kefir benefits for her calcium; in fact because prevention is better than a cure, for all of us. Those who are already baking their own bread, but using semi refined flour from a mill; they already know that the homemade loaf tastes and is better without all the chemicals. Those who are still purchasing supermarket bread, believing that the wholemeal loaf is in fact healthy and has all the vitamins and minerals, and bran that is advertised. Certainly it's better than white but still a very poor second cousin. The upgrade of the Hawo is the Mockmill. It comes in two sizes, the 100, and the 200. It's a good cheaper at around $350, no longer using a new wood casing. I haven't used it myself, but all the reports are very encouraging. This is the wheat grinder for the future. The cost of making your own homemade bread is obviously dependent on where you live. Here in South Africa, the so-called wholemeal flour (but still refined) costs R7.20 per loaf; that's about 50 US cents. 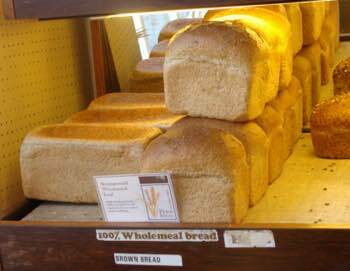 But it's only R2.40 per loaf (a third) if you buy wheat from a farmer and have an electric flour mill. If you bake on say 300 days of the year, the saving for those who are already making their own bread but using the grain from the flour mills will be about $100 per year, should they purchase an electric flour mill. For group 2, assuming you can find a small baker who will sell you a genuine 100% wholemeal flour loaf, it will cost you R20 x 365 days = R7,300 per year in South Africa; about $500. A home baked loaf using only the best ingredients will cost less than R5/day x 365 = R1825; about $130. The annual saving would be R5475, or $391. Add to that, if you're enjoying the supermarket loaf, most advice would be to take calcium tablets @ $70 per year, plus vitamin E @ $40 per year, not to mention all the other vitamins, minerals and smart bran. Suddenly, the electric flour mill doesn't look so expensive; if you use it. At Chiropractic Help, I give it a 100% endorsement; there can be no better way to spend 6 minutes a day improving the health of your family; it's not fattening despite the protestations of the Banting diet folk and tastes simply wonderful. The cost in USA of 100% whole wheat flour appears to be around $4 for a 5 lb. bag at Walmart, and $14 for a 50 lb. bag by ADM Stone Ground. Please recall that 100% wholemeal flour does not keep; make sure that it's not old in the shop, and best freeze what you aren't using. Does flour go bad is an important discussion. Note that your own homemade bread has no preservatives; it will happily keep two days, perhaps longer if you refrigerate it. But it's best baked daily; both the dogs and our hens go crazy over any left over homemade loaf from grain using our electric flour mill. 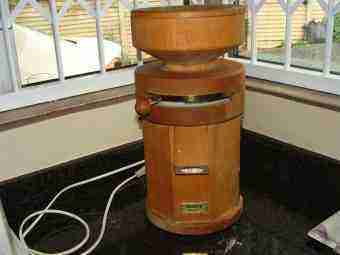 Before purchasing our electric flour mill, a German Hawo, I did no homework and luckily the advice given was spot on. That was some 25 years ago and I have no recollection of the cost; but today it's about $550 in the USA. If you work on an annual saving of $391, not to mention the cost of supplements, from making your own homemade bread, then it'll pay for itself in no time at all. But I'd perhaps consider some cheaper models if the Hawo is a bridge too far. Whether they'll still be going strong in 25 years, I have no idea. The Dutch have a saying for everything; "goedkoop is duurkoop" can be loosely translated as cheap goods are actually expensive. To put it differently, if you do it properly the first time, it hurts only once; I can give the Hawo my unqualified recommendation; I use it every day; it's very user friendly and I have every reason to believe it will outlive me. I used to take vitamin E capsules, made from wheat germ oil, in the mistaken belief that it helps prevent prostate cancer; in fact, it does just the opposite; an electric flour mill enables you to get your own naturally. Vitamin E comes in eight different isomers; if you eat whole foods, you'll get all of them in the correct ratio. It's the gamma form that prevents prostate cancer; wheat germ oil contains mainly the alpha. If you take an excess amount of alpha, it blocks the absorption sites for the gamma form, actually increasing your risk of getting prostate cancer. Get your vitamin E from your food, along with the calcium; supplements are an expensive dicey business; a nasty alternative to wholesome food in the mistaken belief that we can eat crap provided we take plenty of supplements. The same issues arise when considering ground flaxseed vs oil; chalk and cheese. As we've said, the millers grind the the wheat grains and separate them into their constituent parts; the smart bran the prevents breast cancer, the germ that contains all the vital vitamins, fatty acids and minerals, and the white flour. Then to make wholemeal flour they simply add them back together, we wrongly assume in the same proportion; along the way something important is lost. And because the white flour is the most desired product, much of the bran, oils and vitamins are left over; they either go to supplements and are sold back to you as wheat germ oil, vitamin E, calcium, and so on. The smart bran too is sold for aid in treating constipation. With your electric flour mill you can in one step grind the wheat between stone plates giving you 100% wholemeal flour with all the goodies; nothing is processed or removed. You can make your own low GI bread in just five minutes every day; I know because I do it myself. To lower the glycemic index you have to be sure of adequate fibre; enter the electric flour mill which provides the full complement of bran. Low GI bread isn't fattening either and, if you add a little sourdough, the taste is extra specially good. This is not rocket science and doesn't take a lot of your time. We bother, because we care about our health, and really don't want to get breast or prostate cancer. The extra fibre also means less difficulty with the stool; it's part of our quick constipation relief program. For another perspective, including some great videos, read how flour is milled. Reading between the lines though, they admit that they cheat; they say that their wholemeal flour contains all the parts of the wheat in the same proportions, but then go on to acknowledge that it is lower in calcium than 100% wholemeal flour; that doesn't figure. Why all this on a chiropractic website you may be wondering? Firstly it's because that calcium that the miller removes, and then has to fortify, is not the same; making your own bread using an electric flour mill is quite different. Calcium obviously is a vitally important mineral for your bones, hence our interest as chiropractors, and many other bodily functions; but new research is showing that the mineral taken in supplementary form, and as used to fortify flour, ends up also in our coronary arteries raising the risk of cardiovascular disease. That doesn't happen with the calcium from our food, provided the way Nature intended it. In short, almost all the bread purchased in your supermarket is just another processed junk food; and it's tasteless. Panera bread menu recipe is our basic method of baking using an electric flour mill.